Let's Talk Beauty - Juice Beauty - $500 Sephora Raffle - Fashionomics "every page"
Happy Friday!!! Yay!!! Does anyone else feel that way this week? It has been a really fun week of beauty and fashion for me. 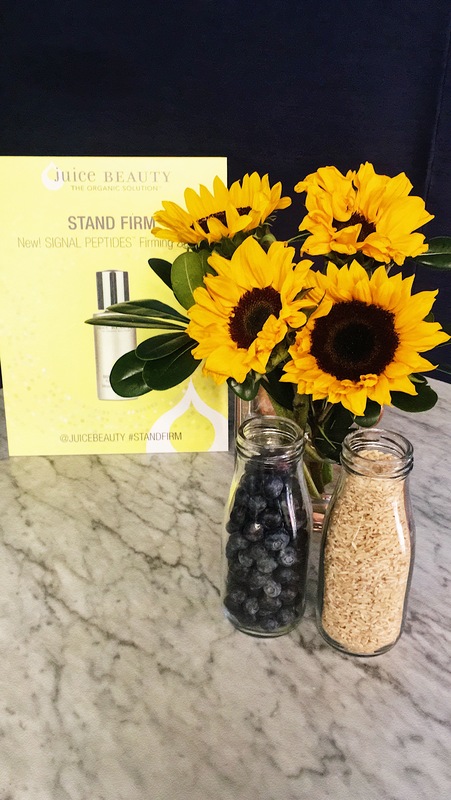 I was lucky enough to attend the Indie Beauty Expo and I shared a lot of it on my Instagram Stories. I don’t know if you follow me on Instagram but I try to share my interesting experiences with you on that platform. Yesterday I saw the This Season’s Must Have fashion show at Neiman Marcus NorthPark with fashion director Ken Downing. I can only tell you that it was over the top glamorous and the 80’s are coming back. More on my feelings about that later!! 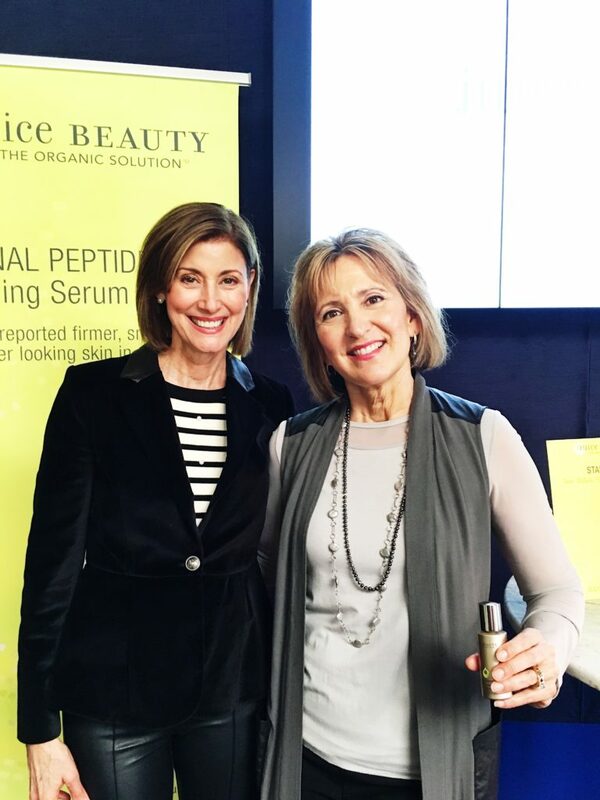 Last Fall I had the privilege of meeting Karen Behnke, founder of Juice Beauty. It was such a fun afternoon of learning about her amazing line of organic beauty products. My blogger buddies and I got to try out the products and chat with Karen. 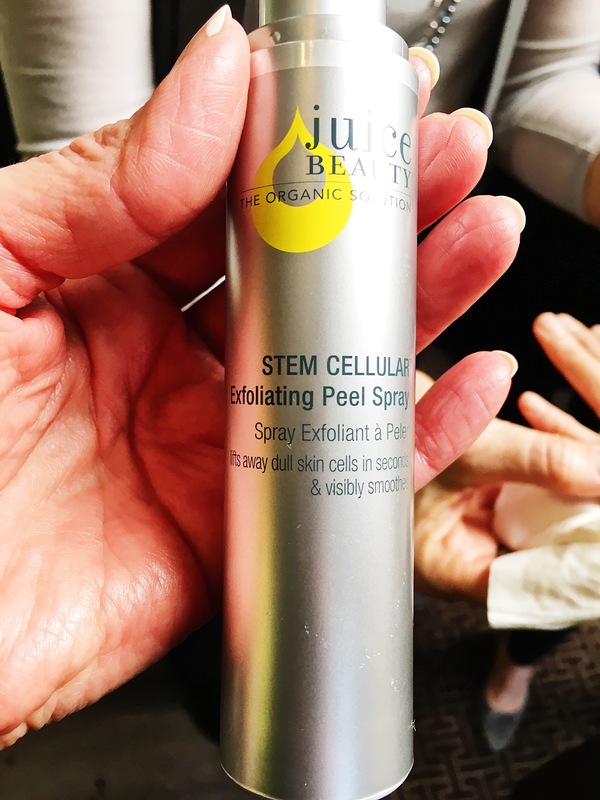 It was enlightening to learn about the importance of being aware of the ingredients used in what goes on our skin and is absorbed into our system. I have to admit that I haven’t really given much thought to this as long as something was working. Not smart if I care about the environment and my overall well being!! 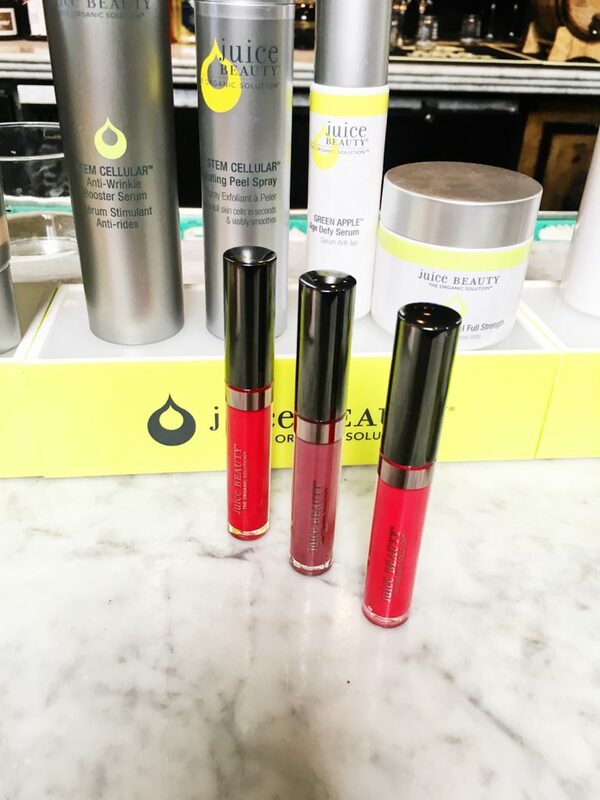 Juice Beauty is available at Neiman Marcus and Ulta Beauty. Be sure to enter the $500 Sephora Gift Card Raffle – details below. Is anyone else frustrated with the dark spots on your skin, especially the hands and arms!! 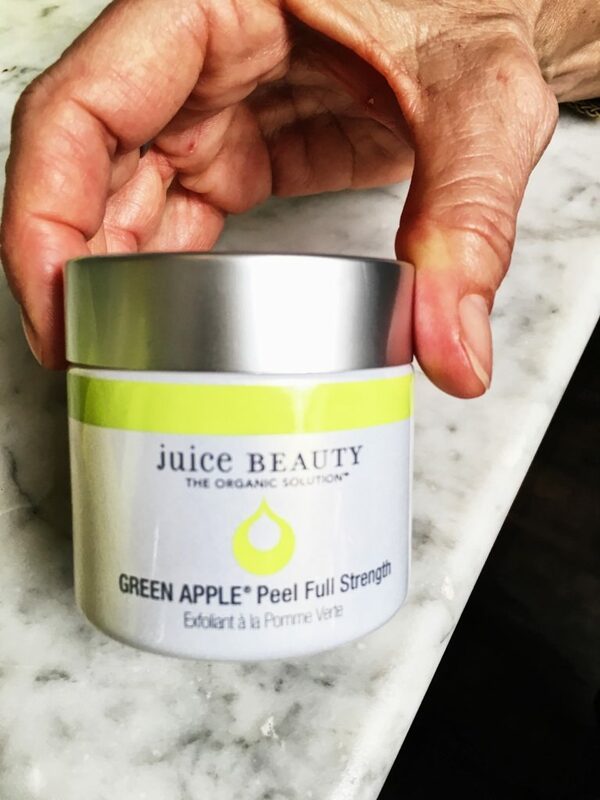 Karen showed us the results on her hands of the Green Apple Peel and it was convincing. I have really been looking for something that will fade these sun damage spots on my hands!! Every time I look down I feel like an old lady. I really am paying for all of the time I spent in the sun in my younger years. Oh to have that young pretty skin again!!! I haven’t tried every single product but I did really love the Phyto-Pigment Liquid Lip lip gloss. The colors were really pretty and it stays on and feels fabulous. I also really need the SPF 30 Tinted Mineral Moisturizer because I noticed those yucky age spots on the drivers side of my face. Wearing sunscreen every day is a necessity and this also would serve as my foundation. I have been using the Signal Peptides Firming Serum and am seeing great results. 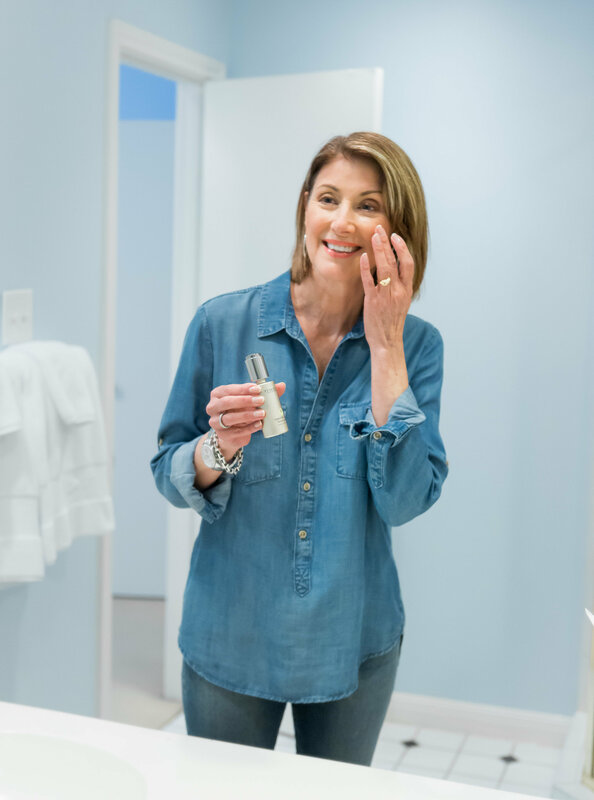 I became aware of the importance of using serums containing hyaluronic acid when I wrote the post I Love My GloPro recently. 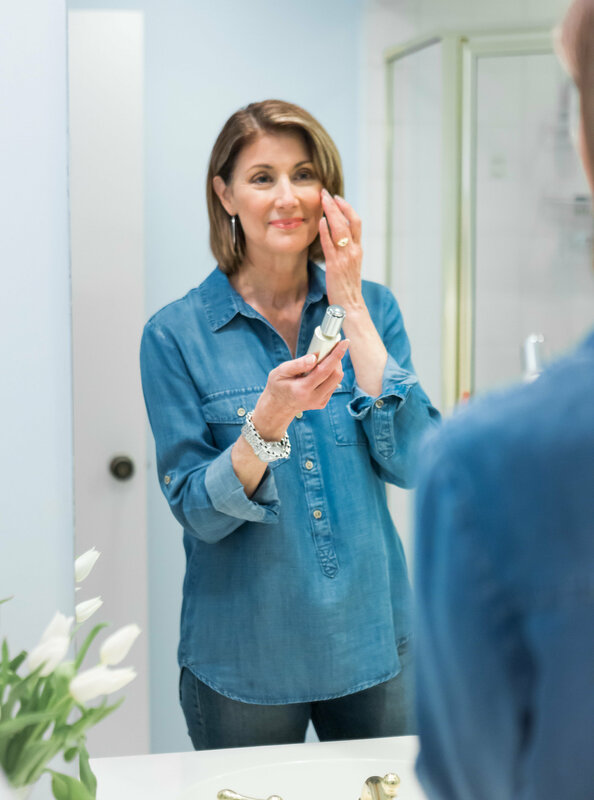 If you haven’t heard the buzz about serums then you need to catch up on the latest in beauty solutions. 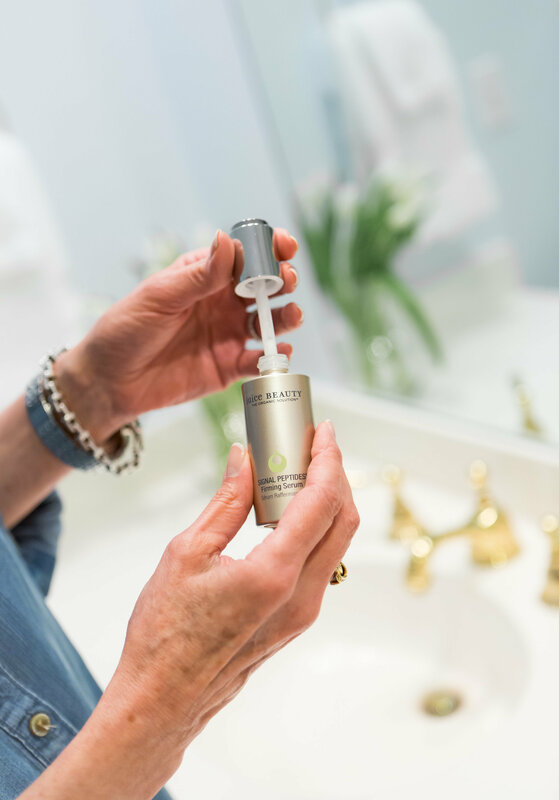 I like trying different serums and have loved the consistency of the serum and easy pump applicator. It really absorbs into my skin and I use it morning and night before my moisturizer. This Anti Wrinkle Moisturizer is the best and it has the coolest dispenser. 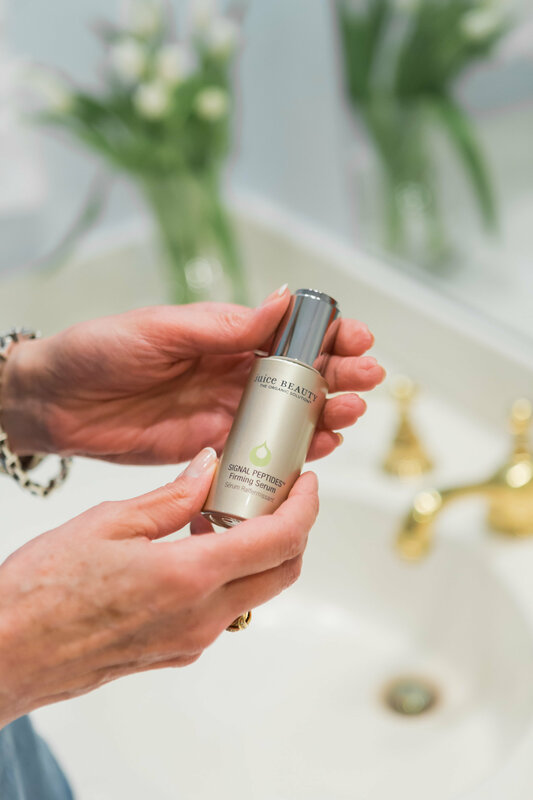 Inspired by the advanced science of epigenetics and the biomimetic power of active plant lipids, this luxuriously lightweight micro-serum formulated with certified organic ingredients and firming peptides is designed to restore the appearance of firmness and skin elasticity.Patent-pending formula contains a custom blend of sunflower-derived plant lipids combined with rice peptides and pterostilbene-rich wild blueberry extract to increase skin hydration, help renew skin surface and protect from external aggressors with a supple moisture barrier.